Some parts of the Tweed and Gold Coast received well over 100mm of rain with the recent intense storm cells. This is just what our waterways have needed after a long dry summer. Try finding and fishing the area where the dirty water meets the clear current on the run in tide for trevally, and the lower reaches is the place for flathead and bream. I got the chance to take my wife Angie out for a quick fish around the early morning tide change, and caught a couple of small jacks and one nice one on deep diving Atomic lures. 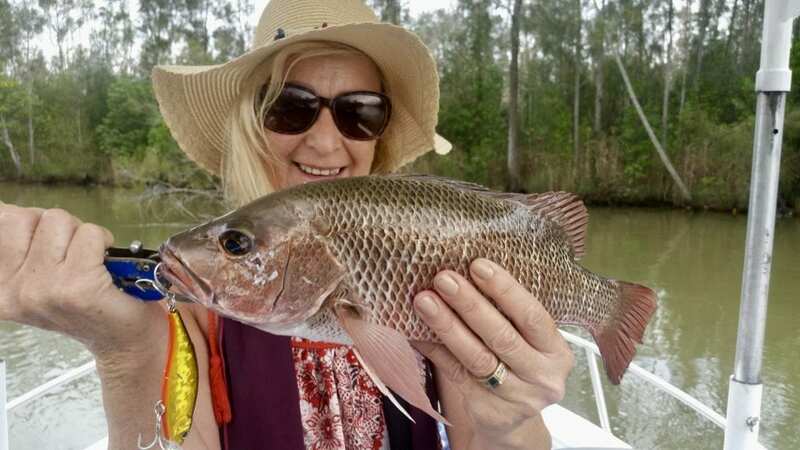 This week the fishing in the broadwater has been patchy, and will probably take a few days to settle down with the dirty water from the big rain mixing with clear ocean water running in with the spring tides. Apart from the jacks we have been catching at night, sand and winter whiting have been the dominant species. 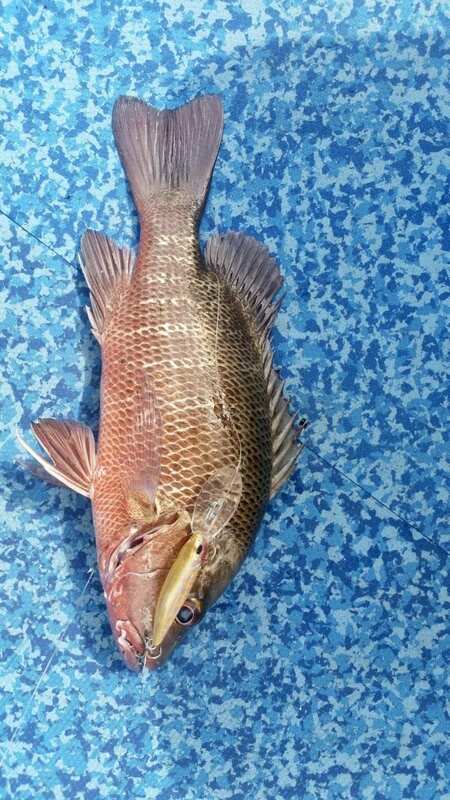 Yesterday Terry, Dwayne, and Scott came fishing and used Ecogear ZX40 lures coated in Sax scent goldprawn to catch 14 different species and over 40 fish, keeping a great feed of fresh whiting for dinner. I was shocked at how clear the water was in the seaway and north of there on the run in tide. I had expected it to be dirtier after the rain, just shows how strong and influence king tides are. This weekend it may be best to fish the afternoon run out tides, try the channel edges and bays as it will still be running hard in the peak tidal flow times. Use darker and more intense colour lures in the dirty water instead of translucent colours. Yabbies will work well, they are easily pumped and there are plenty of them on the sandbanks in the Southern broadwater. You can also buy live yabbies and beach worms at Southport dive centre. The water temp was still 28 degrees up the river, and plenty of salt is pushing back upstream under the fresh, so the jacks will still be around but not as far up river as previously. We will experience some great fishing and stunning weather in the weeks and months ahead so book your private charter with us soon to get amongst the action. Best time of year! Fishes Tweed mainly but Gold Coast at times too. 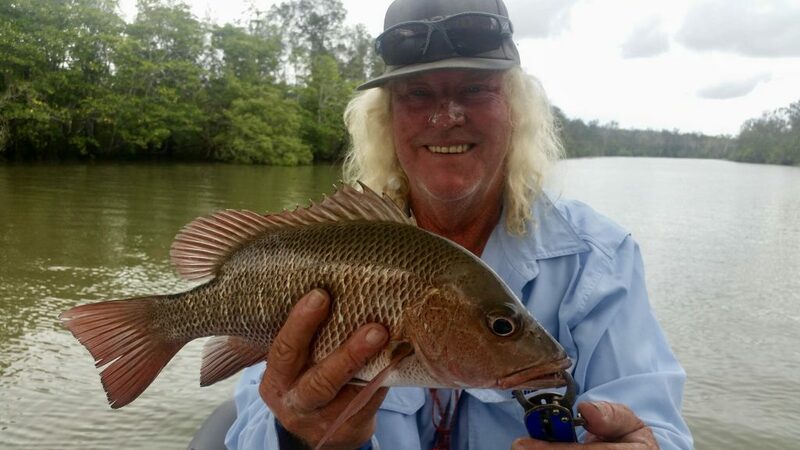 Estuary fishing with blades and soft vibes for flathead, mulloway, whiting, bream. Topwater lures for whiting, trevally, bream. Takes six people max but four max if lure fishing, three max on jack charters. Fishes Nerang river and canals, and Gold Coast broadwater. 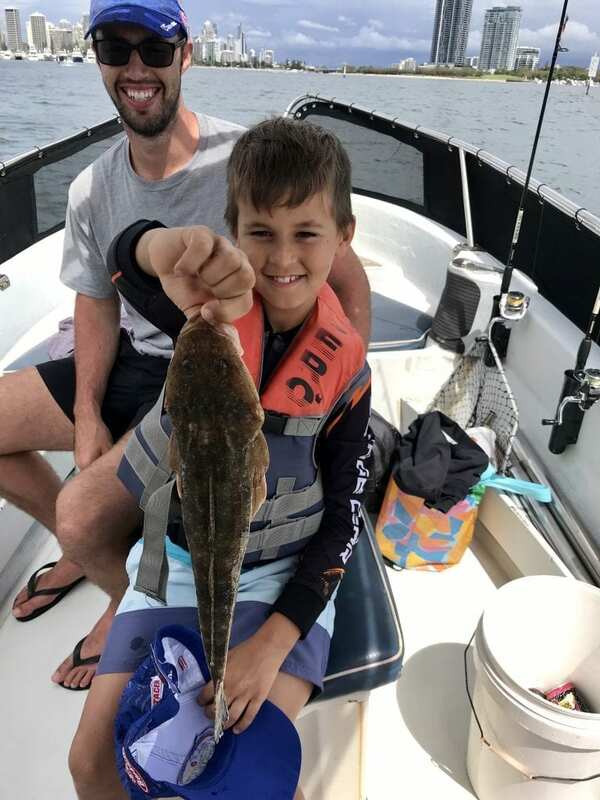 These are 8 hour trips that include catching whiting on lures in the broadwater first for jack livies. River lure trolling hardbodies, and drifting over the flats and holes casting blades and soft vibes for flathead, whiting, bream and others. 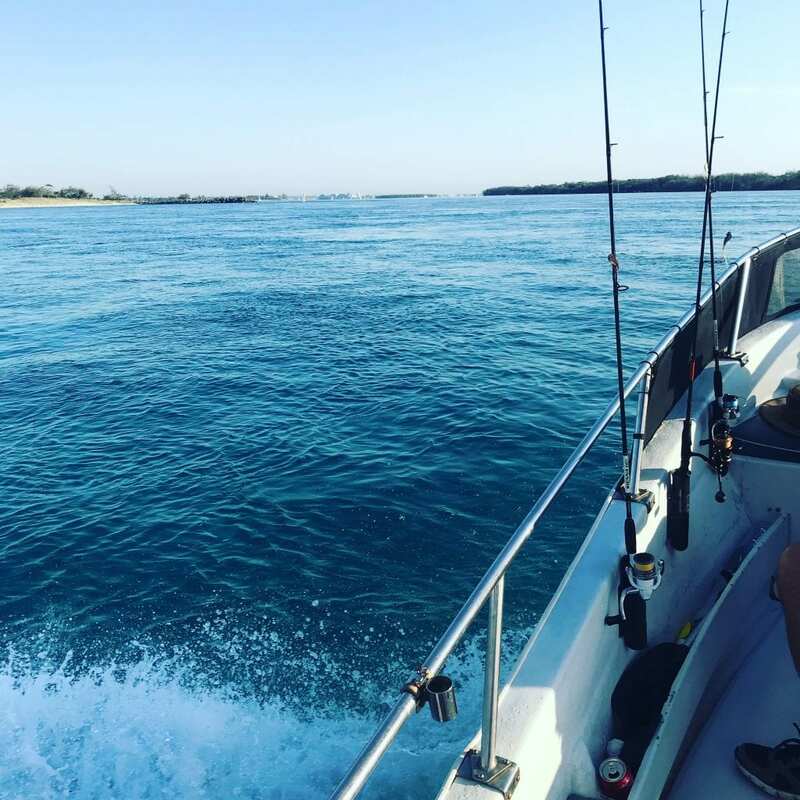 Fishing the broadwater with blades, vibes, and soft plastics in the area between Sundale bridge and Sovereign island for a wide range of reef and estuary fish, and squid.